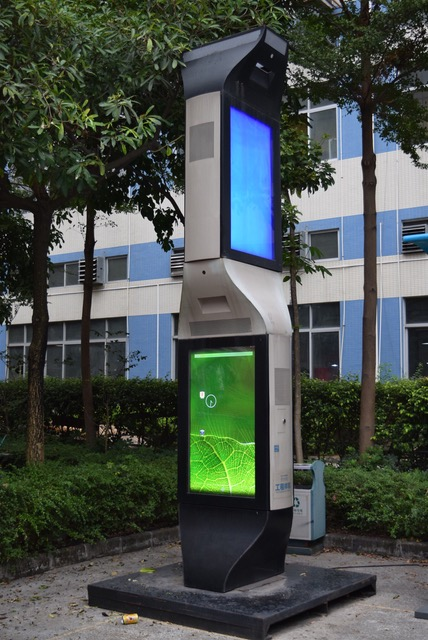 Crane specializes in “smart” vending machines that include touch screens, wireless connectivity and value-added services such as credit card and mobile payment options. Crane Connectivity Solutions joined the Digital Place Based Advertising Association (DPAA) in 2015. Freelance reporter Mel Stott chatted recently about the company with Sharon A. Peyer, Crane’s VP, Media Network. Your promotional materials say that Crane is reinventing the vending machine experience. Please tell us what you are doing in this area, particularly as it relates to digital out-of-home media. The Payment and Merchandising Technologies business segment of Crane Co. manufactures and sells vending machines, as well as cloud-enabled connectivity solutions for many unattended retail channels, including vending. Our vending machines today are “smart” – they come with fully integrated touch screens, a wireless connection, and value-added cloud-based services that both attract more consumers and increase their engagement at the point of sale. In addition to making it possible for consumers to pay by credit card or mobile payment, such as Apple Pay and Android Pay, these features enable brands to engage consumers based on anything from their geographic location to the products they’re purchasing in the machine. The new study by Nielsen found that OOH delivers more online activity per ad dollar spent compared to television, radio, and print. The survey shows that online activations including search, Facebook, Twitter, and Instagram activity generated by OOH indexes at about four times the expected rate given its relative ad spend. For example, OOH media accounts for 26% of gross search activations generated by TV, radio, print and OOH, combined but it only accounts for 7% of the total combined advertising spend. “The Nielsen survey provides conclusive evidence of the value of OOH in driving online activity. OOH serves as a trigger for online search with consumers on the go,” said Rosanne Caron, President; OMAC. To view the full study please click here. Russian Retail Week, one of the most important events in retail industry in Russia, will take place June 5-10 in Moscow. This year the organizers expect more than 5000 participants. The Russian Retail Week is attended by CEOs, top managers and marketing and IT specialists. The international conference «Digital Signage – no alternative!» will be held on June 8. It is the largest event of Russia’s digital signage industry, taking place annually since 2011. Atlanta-based media mea is a digital media marketing development firm specializing in the fabrication of interactive indoor and outdoor LCD/LED digital signage displays. The company joined the Digital Place Based Advertising Association in early 2015. Freelance reporter Mel Stott chatted recently about the company’s business — and origins of its unique name — with Mohamed Ghalayini, media mea’s General Manager. Before we explore media mea’s role in the DOOH ecosystem, please tell us about the origins of your company’s name. Our bespoke “media mea” name is derived from Latin and means “My Own Scripture”. This is telling the prospective client that an interactive digital display from media mea will be completely customized and molded to the look and feel of their choice. Please tell us about the types of display products offered by media mea. We offer all sorts of indoor and outdoor LCD, OLED, LED and transparent interactive digital signage displays. They range in sizes from 7” all the way up to 98” in LCD. And to any unlimited size in LED. Our brightness on these LCDs range from 350 nits up to 3500 nits. And on the LEDs brightness range from 2000 nits up to 8000 nits. We also include a camera, PC/Android OS, RFID and other modules that we embed within each of our units. A payment terminal can be built-in for accepting credit cards, with paper receipts. Sign owners risk deactivation and fines. DANVILLE, Ill. — (May 1, 2017) — Watchfire Signs, a leading manufacturer of outdoor LED signs and digital billboards, has published a white paper that alleges widespread electromagnetic interference from imported digital signs and billboards that can impact everything from cell phones to aviation towers. Sign owners have faced forced shut-down of non-compliant signs along with the prospect of large fines from the FCC. The white paper reveals the discovery that Asian-manufactured LED signs and digital billboards are emitting electromagnetic interference at levels that dramatically surpass Federal Communications Commission (FCC) limits.